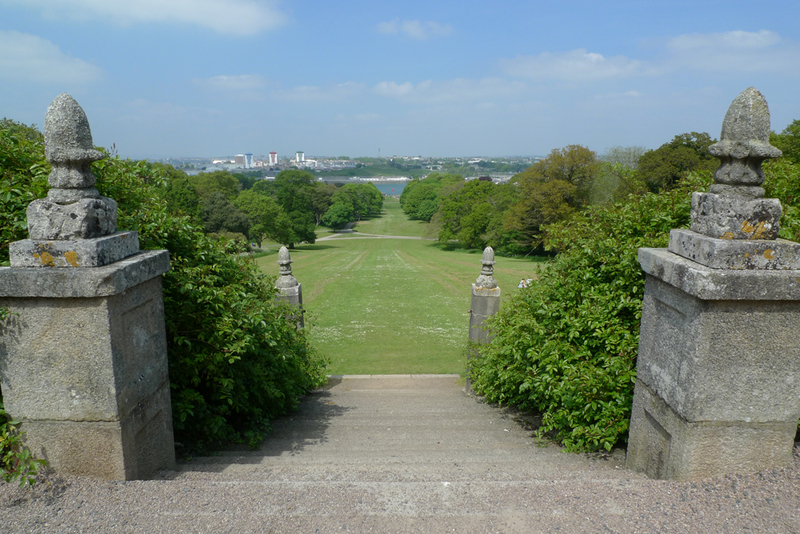 Anyway, Mount Edgcumbe, located on the very furthest south-eastern tip of Cornwall, overlooking Plymouth Sound, is one of this select band. 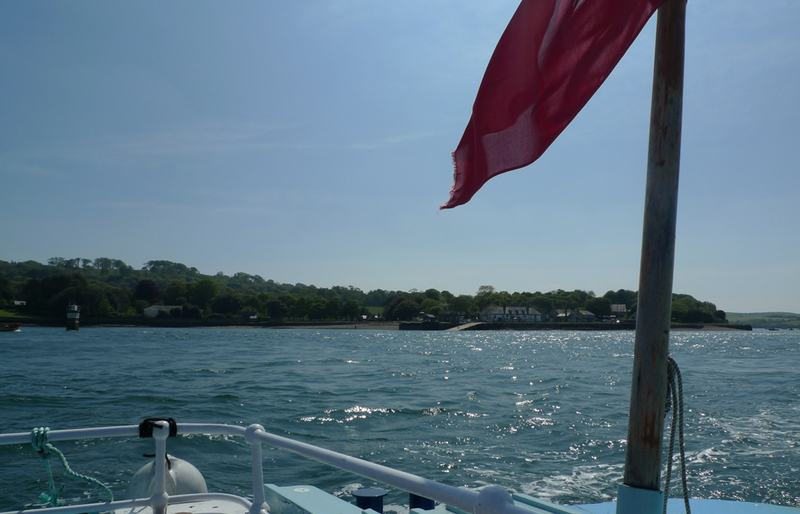 It’s one of our favourite parks, partly, but not entirely because of the excitement of crossing the mouth of the River Tamar aboard the Cremyll Ferry. 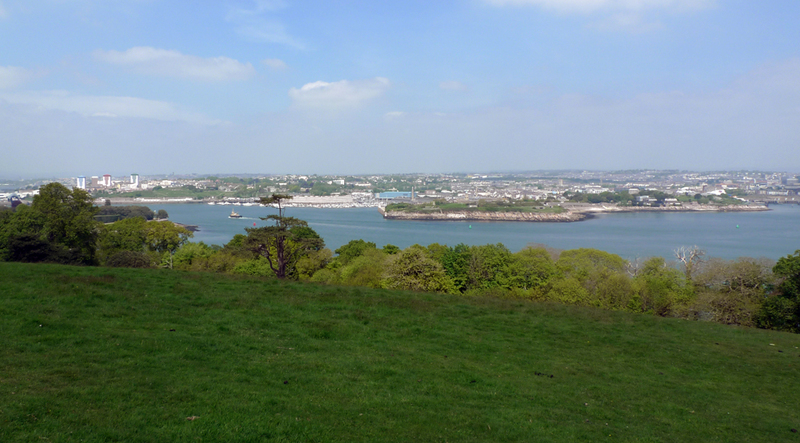 Being surrounded on two sides by the sea gives the park an unusual feeling, as does the fact that views are dominated by the sprawling suburbs of Plymouth (with a backdrop of Dartmoor on clear days). 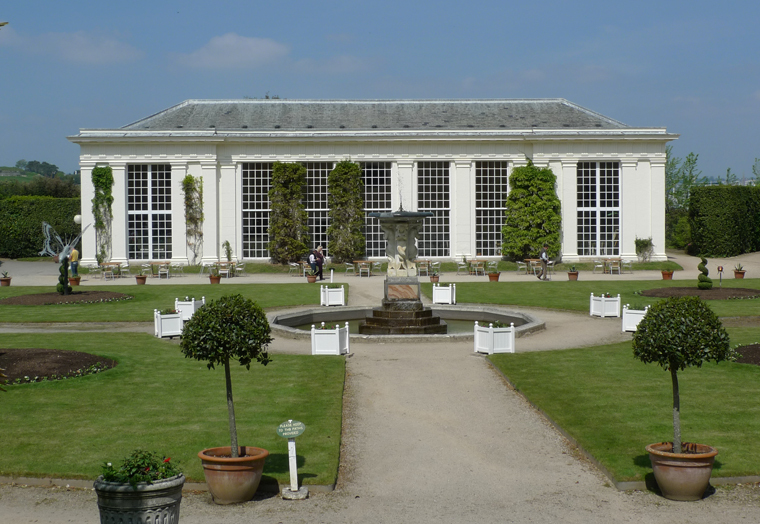 The hall and deer park date to the 16th century, though many of the key features of the landscape today date to the 18th and 19th centuries, such as the Orangery (c.1760), an impressive folly on the upper slopes of the park (1740s) and a range of other garden grottoes and temples. The hall was badly damaged by German bombs in 1943 but subsequently restored in the 1960s. The park also contains a range of military features, something that is not altogether surprising given its strategic location. 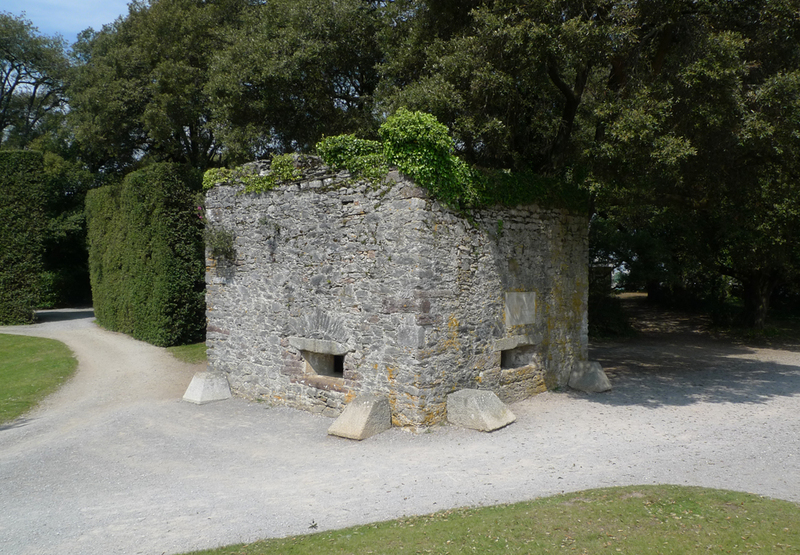 These include a two storey blockhouse (c1540) and the ‘Garden Battery’, which began life as a private saluting battery complete with 21 cannon, before being substantially upgraded in the 1860s to form part of the defences of Plymouth Sound and Devonport. The great charm is in the contrast of the loneliness and retirement of objects near you, with the lively scene and richness, and immensity, bursting on the river here and there; and, upon the whole, this comes nearer to my ideas of beauty than any spot I ever saw. Earlier this month, and for various complicated reasons, we found ourselves in Devon for the weekend. 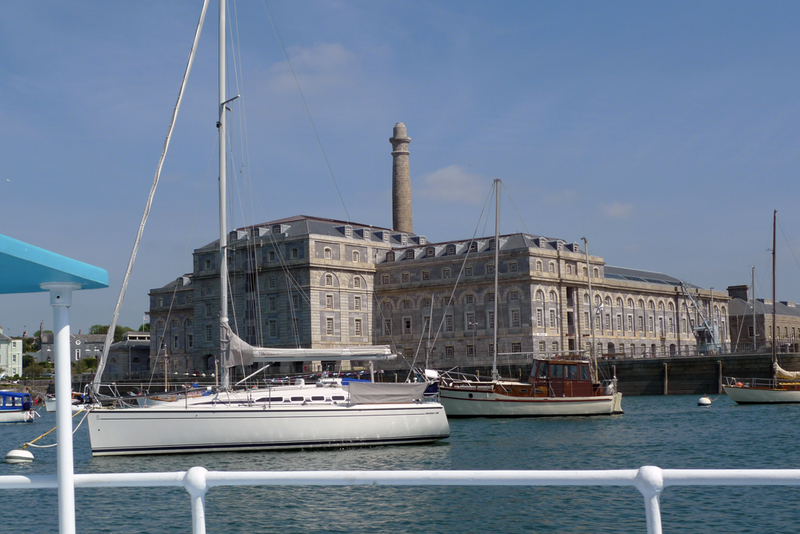 We used the opportunity to visit somewhere we’ve been meaning to get to for quite a few years – the Royal William Victualling Yard in Plymouth. 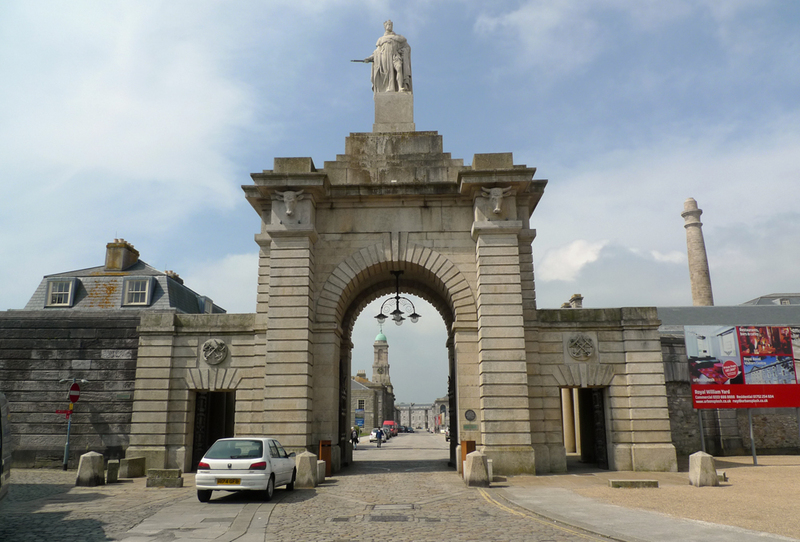 Work was overseen by Sir John Rennie and Philip Richards and was completed in the 1830s, resulting in an imposing set of neo-classical buildings that used local limestone and granite. Rennie was engineer to the Admiralty and had also been responsible for completing Plymouth’s breakwater (a project started by his father). The 16 acre Victualling Yard included a brewery, bakehouse and cooperage and was designed for processing and storing the food, drink and equipment needed by ships leaving Plymouth. The yard passed into private hands in 1992 and in recent years has undergone considerable work to turn the Grade 1 listed buildings into various apartments and restaurants.